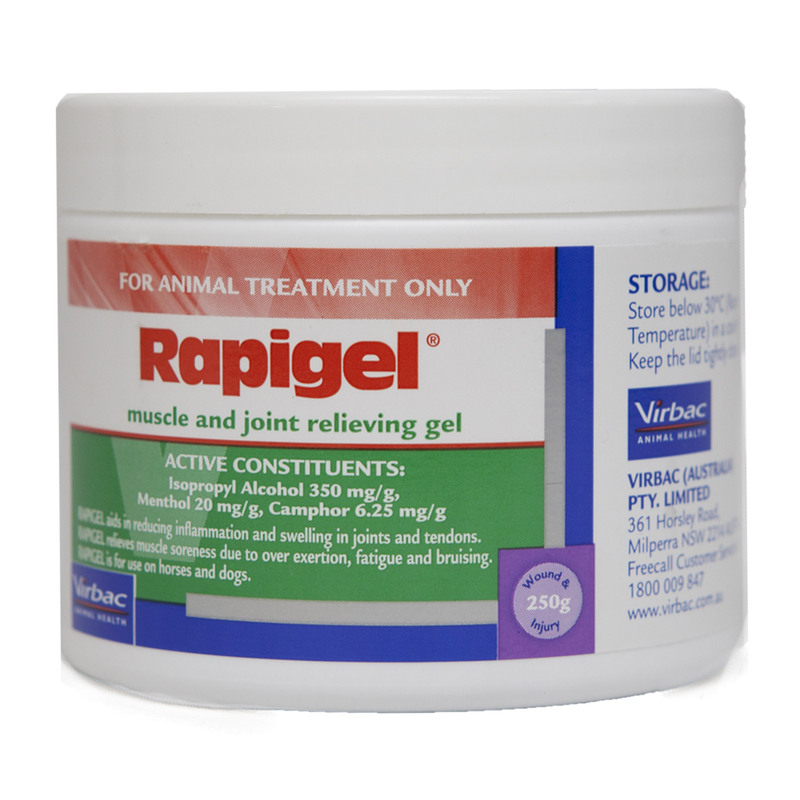 Rapigel is a powerful muscle and joint relieving gel for use in horses. It greatly lowers pain or soreness associated with joint, muscle and tendon injuries. It relieves joint inflammation and pain due to arthritis. The soothing gel is helpful for swollen and inflamed joints and tendons. Rapigel is very beneficial for horses undergoing training as it assists to warm up helping to prevent injuries due to strenuous exercises. The gel based cream aids to recover from intense exercises and overexertion. Rapigel contains three major ingredients Menthol, Camphor and Isopropyl Alcohol. The integrated effect of all these components helps to soothe muscle constraint and relaxes muscle spasm and muscle fibres. The potent formulation is effective in lowering the intense pain after training or exercise in horses. It greatly reduces joint swelling and offers cooling effect while promoting tendon repair. 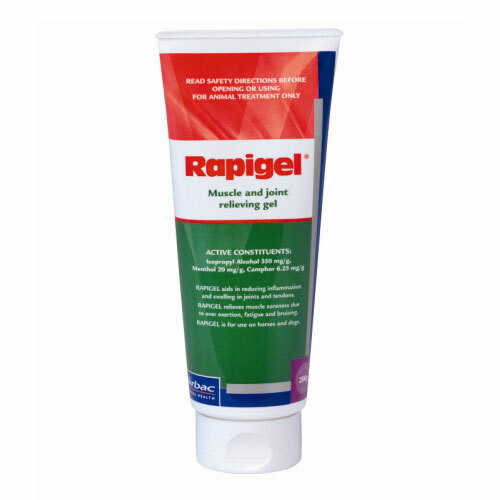 Rapigel is a no-mess stable gel formulation for horses to work in all temperatures. Very effective,suits the skin and provides instant relief to my horse, Rap. Swollen joints is a regular issue for my overweight pet. Although we are trying to reduce his weight by controlling his diet, whenever he growls in pain due to swelling and inflammation of his hindleg joint, I had to instantly apply this gel on his knee and ankle. It relieves him within a couple of minutes.